Dr. Reggie Ray talks about his training with Trungpa Rinpoche, the process which led him to start teaching and taking on students, practicing with the body, his decision to leave Shambhala International, and the view and practice of dharma that he presents to his students at Dharma Ocean Foundation. Thank you Julia and the rest of the Dispatches crew for your notable effort and skill in producing such engaging interviews like this one with Reggie Ray. I find that the discussions between (loosely put) those “for” or “against” what Reggie Ray is endeavouring to do, and how he goes about it, become straw-like when placed beside what can be felt in this interview. I don’t say this to denigrate of the expression of opinions – far from it – but rather to express my own and say that being able to feel something in such a discussion matters in ways that I’m perhaps not skilful enough to express. What I can express is that I felt something as I listened to this interview. I have no doubt that what I’m saying is utterly untenable and could be easily dismembered by the capable brains out there who might eagerly line up for the job, but I’m equally certain that those cerebral dissections wouldn’t touch the essence of what I’m attempting to communicate. As Reggie Ray himself states, he is fully human. I find it sad to think that I might easily get myself further into trouble by expressing the personal view that the one referred to as “the Sakyong” is also fully human; and that if this particular human would be willing to permit more of us to feel his words – and you can’t do that through a proxy – at least 50% of the schisms that have torn through this Shambhala and/or Buddhist community, what’s left of it, could be healed overnight. Bravo to Dr. Julia Sagebien and the Chronicles (Walter and Joanne) for their continued integrity and skill in chronically the amazing display of phenomenon they have arisen in relation to the Druk Sakyong, Chogyam Trungpa, Rinpoche. Whatever opinions each of us may have about Dr. Ray, we certainly know more about him, his views and his activities from listening to this informative and revealing interview. Dr. Sagebien has a wonderful, surprising interviewing presence that seems to allow those she interviews to clearly articulate their experiences at a deeper than conventional level. Barbara Walters pales in comparison. May the success of the Chronicles continue. I appreciated Julia Sagebien’s interview with Reggie Ray. Thank you for including it as a Chronicle Dispatch. I attended the 1999 Vajrayana Seminary at Shambhala Mountain Center for which Reggie was one of the main teachers. I would characterize his teaching style there as warmth without indulgence, combined with a thorough understanding of the teachings and a deep commitment to the lineage. I heard that he had separated from the Shambhala sangha, was no longer an acharya, and was teaching dharma independently in a center his students were creating in Crestone. Except for one dispatch from David Brown announcing that attempts to reach some sort of accord with Reggie had failed and that he was no longer authorized to teach the official Shambhala curriculum, use Shambhala Buddhist chants, etc., all I knew came from rumors, hinting at some sort of blowout, which left me to imagine Reggie as kind of a broken-down vehicle, ditched along a remote road. So I was glad to hear Reggie Ray’s own account of the reasons for his decision and his description of the work he and his wife Lee are doing today. While clearly Reggie’s differences with the Sakyong’s approach were sufficient to propel him to curt formal ties, I did not sense any underlying animosity; to the contrary, Reggie emphasized that he loved the Sakyong and described how that love is rooted in a relationship that goes back decades to when the Sakyong was a boy. Yes, Reggie Ray does say, as his website puts it, that his mission is “to preserve, transmit and extend the Dharma teachings of Chögyam Trungpa Rinpoche, one of the pre-eminent practitioners, teachers and scholars of the Tibetan Buddhist tradition,” but unlike some of the others who have commented on Reggie’s interview, I don’t pick up any claim on the Rays’ part to be the one true, pure conduit for Trungpa Rinpoche’s teachings, which would indeed smack of fundamentalism. Nor, unlike some other commentators, did I find Dr. Ray’s references to his sangha patronizing. Rather, it seemed like he emphasized relationships characterized by love, warmth, mutual respect, and unsparing dedication to dharma practice and study, which is consistent with my experience of Reggie Ray in the 1999 Seminary. The interview inspired me to read Reggie’s most recent book, Touching Enlightenment. I would encourage other Shambhala sangha members to do the same. I’ve enjoyed other books by Dr. Ray, notably Secret of the Vajra World, but Touching Enlightenment has an entirely different tone. In contrast to the academic tone and style of previous works, the feeling of the new book is warm, fresh, unprepossessing, and gently personal. For me, Reggie Ray’s teaching presence comes through much more prominently in this work, speaking from the heart to the reader’s heart. I also feel like Reggie is on to something with the body-centered approach to practice he introduces in his book. I’ve tried several of these practices and find that they complement and enrich vajrayana and Shambhala practices and so I intend to keep doing them. I’m in no position to assess Reggie Ray’s realization or lack of same, but I do feel that he’s offering something genuine and worthwhile to those who can make a connection with his teaching, which is not everyone, obviously. It seems at least that Reggie has mastered a few recipes, because there’s the unmistakable aroma of fresh-baked bread around his work. Historically, the dharma has been transmitted both through orderly, traditional lineages in which teaching authority and community leadership has been formally handed from one master to a homegrown successor, and by upstarts who find the existing order stultifying or are rejected by that order as being unconventional and disruptive. Although Chögyam Trungpa now seems to be generally regarded by other Tibetan teachers as a great master, let’s not forget that many in the Tibetan tradition looked at him askance or actively tried to ostracize him when he discarded his robes, married a young English woman, and relocated to North America. It seems that true teachers must follow their own inspiration and that true teaching authority ultimately emerges from the heart and from the experiential validity of the teachings themselves, not from any organizational imprimatur. Through the limited exposure I’ve had to Reggie Ray’s current teachings, I feel that he is offering something worthwhile that does not conflict with or undercut my Shambhala Buddhist training and vows. Thus I’d encourage others in our sangha to be inquisitive about what Reggie has to offer, and to trust the principal witness. Thank you so much for both the discussion about the interview with Reggie and Vicki Genson’s 1974 Seminary film. How interesting to see Reggie in that film as he was in 1974! And of course everybody else, whom old dogs like me will recognize. How poignant to see all these people when they/we were young, to remember all we’ve been through together and apart – and to realize that some of them are already gone. That is, some died, and some left the sangha either during “the current situation” – the “blow-up” over the Regent, or when Sakyong Mipham began making deep changes in Trungpa Rinpoche’s mandala. Anyway, Thank You for posting the film, and Thank You to Vicki for putting it together. It had a powerful effect on me, very much like dreams I’ve had about the sangha. Now, with regard to criticism of Reggie, Tsultrim’s case provides some interesting food for thought. She has been teaching for many years, established her own center, has many students, and was only officially recognized in 2007. She didn’t wait for official approval, she just followed her own path. THEN she was recognized. Who is to say that Reggie won’t be? Who are we to judge another’s path? It’s been a question I’ve had about “our sangha” for many years. I’ve been guilty of judging others’ paths myself, but I actually learned better than to do that decades ago. At Karme Chöling in the early ’80s I had a meditation student, Richie Kestenbaum, who was judged by some people there to be “crazy.” I appreciated him because he was obsessed with enlightenment and was very naked and raw – no masks. He had been a Zen student, had had cancer, and had also been in a mental institution. He also had fears of the cancer returning before he became enlightened, which it did, while he was there. But he insisted on staying at KCl until he died, and he insisted on choosing who his attendants would be. HH Dilgo Khyentse Rinpoche “just happened” to be coming to KCl while Richie was dying. When Richie did die, Khyentse Rinpoche was immediately informed (in the middle of the night) as requested, and performed a Phowa ceremony for Richie, allowing him to bypass the bardo state. A day or so later, the lama/translator traveling with HH DKR told a group of us that Richie had been a dharma teacher in a past life, that this lifetime of mental and physical illness was a lifetime of purification, and that he would be reborn as a dharma teacher again. Who are we to judge each others’ paths-or our own, for that matter? He is not a guru but is an eye-to-eye level mentor. In fact, he and his co-mentor wife are “just ordinary people on the path.” Hmmm. Didn’t come across that way. I was struck by the number times he refered to “my students” during the interview and his comment “they are my children” in regard to his “students” was very telling. And not a guru yet giving the Vajrayogini abhisheka. Say what? Who, by the way, gave him permission to give abhishekas of any kind? There is a lineage which is very relevent in this regard. Or is there in this situation? Is it just from the Vidyadhara to Reggie with the empowering to do such things coming after the Vidyadhara’s parinirvana? Also, non-traditional in his professed approach — breaking free of all that out-of-date Tibetan baggage — and so very spiritually correct yet there was an oddly fundamentalist tone: Trungpa Rinpoche is The Way and I am teaching The Way. 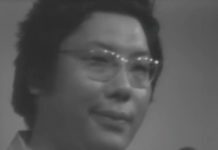 You can still study with Trungpa Rinpoche. With me, Reggie Ray. And do it my way which is in fact his Way. And maybe someday people will be able to study with other senior students of Trungpa Rinpoche when they too finally break free and strike out on their own and become Vajrayana “mentors”. The other theme that struck me is an attitude that has been around Vajradhatu/Shambhala for many years — the Vidyadhara gave the most profound and relevent teachings for our time so why study with other teachers? 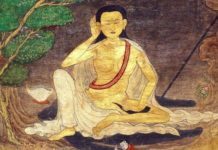 Listening to the interview reminded me of something one of my teachers recently told me — Jamyang Khyentse Wangpo studied with 150 gurus. Studying with other teachers can be a way of refining and deepening your understanding of the various teachings and practices you receive, be it from your root guru(s) or your other teachers. It can also help you to expose hidden corners. Overall, the interview gave me the creeps. I am a student of the Vidyadhara but likewise am no longer a member of the Shambhala sangha so I’m not reacting to his leaving the fold and I actually agree with some of his points about the need for deep practice but whole thing is too self-confirming. Plus his guru/non-guru role/non-role is ridiculous and very slippery. As for the “protector” he contacted, he better be sure about that . . .
I’m by no means a senior student but I’ve been in the sangha for 10 years now. I must admit that I was one of those students you too often used the sangha rumor mill to shape my own views and opinions of Reggie Ray, regrettably to the detriment of really understanding the truth about Reggie Ray and his real intentions around his own community. I report that I’m completely inspired by your recent interview of Dr. Ray… almost to the level of a spiritual renewal. I am especially finding his points about the importance of relationships and intimacy along the path to be quite meaningful and poignant for me. I feel I’m one of those Shambhalians who has been dwelling far too much on the organizational work and responsibilities of helping to run a dharma center. As a result, I feel the blessings of the teachings have felt illusive sometimes, especially lately. Hearing Reggie Ray reminds me how much I long for genuine connection and intimacy on all levels — spiritual, emotional, psychic, sensual-physical — and how community really holds so much promise of fulfilling these aspects for me… and I can’t help but wonder what’s missing in Shambhala right now around these aspects. I’m glad that this conversation is now questioning the imagined boundaries of the Shambhala world, since I have felt for a long time that the proclamation of “Shambhala Buddhism” might be limiting things in unhelpful ways. I once spoke with a friend who had graduated from Naropa University with a degree in counseling and who had then gone on to explore and write about Celtic spirituality. He told me that many of the older men and women he met in Ireland’s countryside–the storytellers and keepers of indigenous wisdom–had many of the qualities of Shambhala warriorship as he had come to understand them. For me, and for many others outside of Shambhala International, the Vidyadhara remains not just a living presence but a source of continuing instruction in what it really means to be human. This certainly transcends any question of religion. The latter part, that the current Sakyong is trying to make this point, is true, but the former is not. 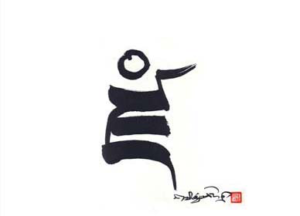 At the very least there is a very large proportion of the sangha of Chogyam Trungpa who disagree, and it’s certainly true that this term, “Shambhala Buddhism”, introduced by the current Sakyong in 2000, was _never_ used by Chogyam Trungpa. That’s why Chogyam Trungpa did not call Shambhala vision “Shambhala Buddhism”. That’s also why he went to the trouble to create a Shambhala society at all: he had _already_ set the ground for an authentic, rigorous yet not culturally-bound buddhadharma in the west. He went on to respond to what the world really needs at this (yes, not just the 1970s!) time, with the way of Shambhala. His vision of Shambhala was not just that of the buddhist Kalachakra teachings (which is what Tibetan Buddhists (with a few notable exceptions, such as Khyentse Rinpoche) tend to automatically equate with Shambhala), but went way beyond that. If you were to ask what is the most general characteristic of the dharma of Chogyam Trungpa, I would say “buddhadharma without credentials”. That is s a buddhist way of saying that the truth, the way things are (“dharma”) can be found, experienced, and expressed right on the spot without external mediation. “You can do it.” That’s how he also described samaya. 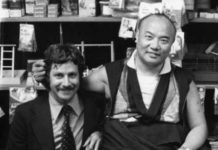 When Chogyam Trungpa “took off his robes”, he wasn’t just trading Lhasa monastic for Saville Row: he was saying that the dharma – the way things are – is not the property of buddhist lingo. In particular, when it comes to the Shambhala dharma, it does not require buddhist language: if you examine his writings and his root texts, and the symbols and forms he created, they are scrupulously their own. They are not a mashup, to use the Web 2.0 term. The reason they are not a mashup is that a) they stand on their own – they don’t _need_ buddhist language or scripture, and b) so that they can be available to the people of the world, most of whom are not buddhist, and many of whom have their own perfectly fine spiritual practices. Language is important: it can illumine the way things are, or it can obscure it. Applying the term “Shambhala Buddhism” to the Shambhala Vision of Chogyam Trungpa creates confusion, and obscures his use of the term “Shambhala”, and makes transmission of it more difficult. It’s perfectly fine to be a Shambhala Buddhist. However, that could stand and persuade on its own, and have its own confidence, and be acknowledged as its own flavor of Tibetan Buddhism and Shambhala teachings, distinct from and without needing to lean on Chogyam Trungpa’s non-denominational vision of Shambhala. PS: The following illuminates CTR’s approach to other religions, even within his own family (from Dragon Thunder, p 82). This post first appeared on sangha-talk. Chogyam Trungpa’s dharma is Shambhala Buddhism, that is the whole point that the current Sakyong has been trying to make. 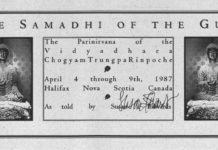 The Vidyadhara held the lineages of Kagyu, Nyingma, and was a Shambhala terton (hidden teachings revealer). He did not per se “try” to “create” a “new lineage,” rather he expressed the truth of dharma in a very real way as it streamed through him. Other people might focus on this or that aspect of Chogyam Trungpa’s dharma, and they might argue with the choice of the term “Shambhala Buddhism” or the way it is used. Just like when one reads a particularly poignant poem, the beauty one experiences belongs to no one or to anyone who reads it and gets it. Nevertheless, the author really has to be acknowledged. The poem does indeed belong to someone. In Buddhist tradition it’s called lineage and without it the wisdom of the lineage would dissolve and be lost. Even Trungpa Rinpoche called what and how he taught “my dharma” sometimes. When talking about how to preserve it or protect it he sometimes actually said “my dharma”. 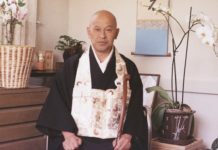 Issues of ownership in terms of legalese are surely transcended, but how he taught, how he transmitted his wisdom grafting Buddhist tradition together with Western culture (or visa versa), how he worked with students, and how that can be applied to everyday life is fairly unique in the canons of Buddhism. I’ve never seen anything like it, and many teachers not of our particular school give Trungpa Rinpoche honorable mention for his work. Why would members of the community he founded try to avoid doing that? It’s more than a little odd. Also, one enormous difference between Chogyam Rrungpa’s dharma and Reggie Ray’s is that when Chogyam Trungpa taught it, it was not “someone’s” dharma, it was just the dharma, whereas now that Reggie Ray is teaching it, it is “Chogyam Rrungpa’s.” That is a very different frame. I think Reggie has a point. I also think there are reasons to doubt what he’s doing. On the one hand, he’s saying he’s not a guru…on the other he’s giving transmission and abishekas. It’s true that VCTR was on an eye level relationship with his students, at least until the later years, and that it is quite necessary to proceed on the Vajrayana path to have that kind of relationship with the guru. It looks like Reggie wants it both ways. It’s also true that a number of Tibetan gurus gave transmission widely to almost anyone…like Tulku Ugen. That did not mean necessarily he was becoming their guru. There are a number of Westerners that put themselves out there as Vajrayana teachers besides Reggie…Ole Nydal, Patrick Sweeny, Jim Green, among others. They all claim to have credentials. None of their credentials matter unless support for them by whatever lamas is made public. On the one hand, as Reggie said in the interview, he’s received encouragement from some of the Tibetans…on the other, no explicit acknowledgement. Why should the Tibetans be the ones necessary to give their imprimatur on Western teachers? Even VCTR was regarded as questionable until the 16th Karmapa certified him. That happened because the Karmapa saw that VCTR was an authentic guru, just as the 17th recently gave his blessing to Ponlop Rinpoche as a guru. So, it does matter. On the other hand, why shouldn’t Reggie…or any other of the senior students of VCTR strike out on their own? If they are genuine, sooner or later they will be acknowledged, or, if not, who cares…like the second 17th Karmapa. No one can tell anyone who their teacher is. The whole Buddhist path is based on personal experience of and connection to the Buddhist teachings….not anyone’s opinion. That doesn’t mean that all the teachers are authentic. It also means that not everyone’s’ judgment is good. Vajrayana is a dangerous path. We’ve all been warned by VCTR and others. Some people hear this…some don’t. We all rely on the principle witness. Good luck to us all. I have been a regular listener of the Chronicles podcasts, and I have found that the program as a whole has bent over backward to show all sides of the question. To me it has demonstrated the effectiveness of the Shambhala teachings, that it is possible to hold even very strongly divergent opinions within the view of basic goodness and the vast open power of windhorse and drala. There have been Reginald Ray and Fabrice Midal. There have also been Ethan Neville and Jeff Waltcher. There have been people who have had nothing at all to do with Shambhala politics, such as the interview with Susan Edwards about poetry that I particularly enjoyed, or the interview with Barry Boyce about literature and publishing in the light of the Shambhala teachings. We could all just practice what our teachers have given us and enjoy our community with all its sharp edges and soft hearts. How does anyone take on that kind of responsibility? There has to be no other tenable choice. I think Dr. Ray answered that question. In fact, it was one of the most moving parts of the whole interview. He was told that he had cancer and had three months to live. He spent a week with that and came to the conclusion that he had wasted his time as an academic, that if he lived he would do exactly what Trungpa Rinpoche required of him. Then he called the doctor and the doctor said he had made a mistake, that Dr. Ray was not going to die. I did not get the sense that Dr. Ray is doing what he is doing because he thinks he is so great. Rather, it is because the thing is there to be done and he is there to do it. 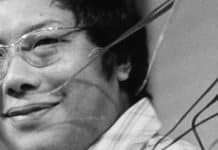 He seemed to me to be driven by devotion, which is hardly “Unilateral and without reference to any other authority.” For him, as for many others including people I know, Trungpa Rinpoche is not dead. The fact that some of us don’t see it that way cannot stop those who do. I just wish more of Trungpa Rinpoche’s original students, who experience Trungpa Rinpoche as a living presence, could step forward and help take the flak. It’s about time. 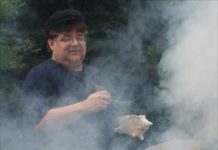 While Dr. Ray claims to be practising and teaching what the Vidyadhara taught, he seems to be selective about which of the Vidyadhara’s teachings and approaches he is willing to be faithful to. 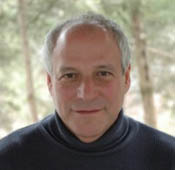 For one instance among others, Dr. Ray claims he is a “vajrayana teacher” to his students, but only in the role of “mentor”–what he calls “an eye-level relationship” (without hierarchy), rather than the traditional “guru” role the Vidyadhara said is so crucial to a proper entering of students into the vajrayana and for subsequent safe guidance on the path. This to me is a radical change from what the Vidyadhara taught. I am not judging Dr. Ray as a teacher–he can teach whatever and whoever he wants, and I sincerely wish him and them success on whatever their path may be–I am questioning his claims both to be doing what he is doing in the Vidyadhara’s name, and to be “preserving the Vidyadhara’s Buddhist tradition” as opposed to what Shambhala International is doing. It looks to me as though he is making up his own teaching approach, using some of what the Vidyadhara taught. If he is completely honest, I think he will admit as much to himself and take responsibility for what he is doing, and really stop leaning on the Vidyadhara (something he said in the interview that he thought was important for the Vidyadhara’s older students to do). The interview was very interesting, but I kept hoping the interviewer would ask Dr. Ray: “How DOES one come to the place where one feels powerful and realized enough to take on?”unilaterally and without reference to any other authority?”the inconceivable responsibility of conferring Vajrayogini abisheka?”, but alas the questions tended to dwell more on Dr. Ray’s opinions about Shambhala International. Thank you, Julia, Walter and Joanne, for finally getting an interview with Reggie onto Dispatches! I loved it. I loved the transparency and honesty of both the questions and the answers. I agree with much he says and found his view and path refreshing and empowering. I am glad he is doing what he is doing. So thank you very much! Thanks again for the interview with Reginald Ray and the genuine and helpful discussion you host. This is a small second message from my hand just to acknowledge that I feel I should not pretend (as my earlier letter did) that I can assess whether there are unworked out issues from the Sakyong towards Reggie Ray (or vise versa, but that is less important to me as I am a student of the Sakyong). I do not want to be too gullible and politically safe and correct, but want to acknowledge that I am not close enough to the fire nor enlightened enough to assert anything about unfinished business. So I withdraw my inferential statement as it feels somewhat preposterous and inappropriate, and at least dubious. Cheers and good heart to all. Thanks you so much for your interview with Reggie Ray. As a somewhat far and outwardly not so closely connected member of the Sakyongs community, I find it heartbreaking, in a painful but positive sense, to see and realise that this divorce has happened and seems mostly helpful. While the reprochment with the Regent’s community is so healing for me (I admit that the only thing I know about it is through reading the transcripts of the first public reprochement gathering, but it kept me spellbound and moved me to tears), my heart cries, but also bows to the fact that further falling apart happens, also at this core ‘level’ of our lineage. My personal guess and believe that there are some unworked out issues and edges probably on both sides (and I would be surprised and more sharply hurt if Reggie and/or the Sakyong would not see it that way), does not change the fundamental fact that deeply genuine people can keep loving and helping the world, and yet step out of the same community, even if the communities are not fundamentally rotten. That is another sigh for me. When I became aware of the major splits in e.g. the Kagyu lineage, I did, while still recognising the goodness in various ‘camps’, see it fundamentally as politics, while in this case misgivings seem a minor distraction and side issue. I am happy to hear that various Tibetan lama’s encourage Reggie’s actions, showing that they too are beyond the safety and hopeful view that lineage issues should stay cute and obedient. I would have a question that I would be very curious to hear Reggie’s comment on (and believe it or not that the reasons for asking has nothing to do with trying to prove his brave steps wrong): Why does he think Trungpa Rinpoche was so assertive in appointing a single Regent, rather than empower all his senior students to take up similar roles for future students? I intensily miss (and probably avoid) the warmth and thorough knowledge that Reggie talked about in his mentorship and community. Thanks so much for bringing Reggie to Chronicles. I really enjoyed hearing about what’s going on with Dharma Ocean and hearing Reggie’s distinctive and passionate presentation about the power of our lineage teachings to reveal our selves and our world. As a former member of his sangha, I have to say much of what Reggie said reminded me of why I studied with him. His presentation of the Dharma is like hearing a bell ring- clear and resonant. He has a wonderful ability to lay it out in words that are unencumbered by jargon or terminology. And he is a wonderful motivator about the imperative aspect of practice. I am an active member of the Shambhala sangha, although I don’t study with Reggie anymore. Just as I loved (and still love) hearing Reggie teach, I still detect an element of fundamentalism in his approach, a crusading impulse that is lacking in tolerance or curiosity. In aspiring to “further the lineage of Trungpa Rinpoche” he implies that he and his students are the only ones doing that. I respect what Reggie is doing, but a big watershed on my own path was realizing that what he is doing is not necessarily better or worse than other alternatives, just different. Luckily we are free to choose. This discussion with Reggie Ray was for me, profoundly important. I have felt little connection to the Shambhala Buddhist world as it is presented now and not compelled toward any other teacher. As Reggie explains, Trungpa Rinpoche is alive and well, available for intimacy whenever you are! Thank you for stepping out and sharing Reggie Ray’s deep devotion and vision for Trungpa Rinpoche’s dharma. And Julia, your questions and curiosity is as always, brilliant. just listening to the reggie interview — very electric — glad you finally got to speak to him without others views interjecting — very personal interview………….can believe he had vision of a protector — I can relate to that………….makes you think about what dharmic practitioners in the west are capable of…………….everything open now……………..
Is there any chance that somebody could transcribe it so that we can review it more closely? Special thanks to Julia and to Chronicles Radio for posting it. Thank you for posting that interview. He certainly spoke for me, 108%! Thank you very much for your work and support. I really appreciate those interviews. I meanwhile listened to most of them, offline. I hope you have many more people on your screen for being potential interview candidates and they are willing to contribute. For me not having known the Vidyadhara it is very inspiring to hear those people talk about their life and experiences and an invaluable resource for the future as well. I just also made a financial contribution, which is small but for sure can be put to a good use. 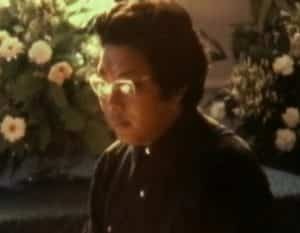 I was a student of Trungpa Rinpoche’s from the mid-’70s till after his passing, as part of the Los Angeles sangha. When the situation there”blew up” between the Los Angeles sangha and the Ojai group, I sort of went my own way. Nevertheless, once a student of Rinpoche’s, always a student of Rinpoche’s, regardless of whomever else I study under. Primarily, these days, I am a student of Thrangu Rinpoche. I received an email from a friend w/ whom I have been doing some of the Reggie Ray body work. I enjoyed this interviewed enormously and want to know if you maintain an email notification for upcoming interviews. I looked at the list of interviews you have already produced and was pleased to see many names and faces I recall from the past. How pleasant. Thank you to Dharma Ocean Foundation for accommodating us in the middle of their dathun. Thank you to Pundarika Foundation in Crestone, Colorado for the use of their recording equipment, and thank you to Vicki Hitchcock who was our recording engineer for this interview. The views expressed on Dispatches are not necessarily those of the Chronicles of CTR, its board of directors, staff, volunteers, or members. Mitchell Levy talks about the Kalapa Council, loyalty, the Ripa lineage, and his relationship with Chogyam Trungpa, and Sakyong Mipham.